The new Steamroller packet will come out at Lock & Load June 2016 and those will be the main rules. All Weekend Scrambles - Can be played at different point levels as interest is shown. We are pleased to announce that the Utah Cup will be hosted by Gladiator Games On Saturday, July 16th. 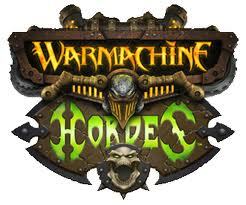 This will be the first major tournament for Warmachine/Hordes since the changeover to Mark III! The Event will use standard 75pt Masters 2016 rules. We will have new hazards in play along with old terrain favorites. Looking forward to you and your groups coming out to compete for the cup and glory! Not to mention your chance at prizes! Come and participate or come for the other events we will have all weekend long! Gladiator Games will run from July 14-17th ! Remember that July 14th will be a free to play day and a player swap meet!